Quality oil maximizes power, resist wear, improve fuel consumption & prolong lifespan of engine. Properly tensioned V-Belt ensures quiet and safe driving as major components such as water pump, power steering pump, alternator & aircon compressor are belt driven. Clogged filter restricts oil flow & prevent lubrication system from functioning effectively. Excessive wear of engine moving parts will result in unwarranted & expensive repairs. High grade brake fulid provides superior braking efficiency, reduce vaporization & protects all metals within braking system. Periodical cleaning of air-con filter, treatment on evaporator, flush drainage system & removal of odor is essential to ensure healthy air circulation within the vehicle interior. Excellent fuel filtration ensures efficient engine run, optimum power & performance. 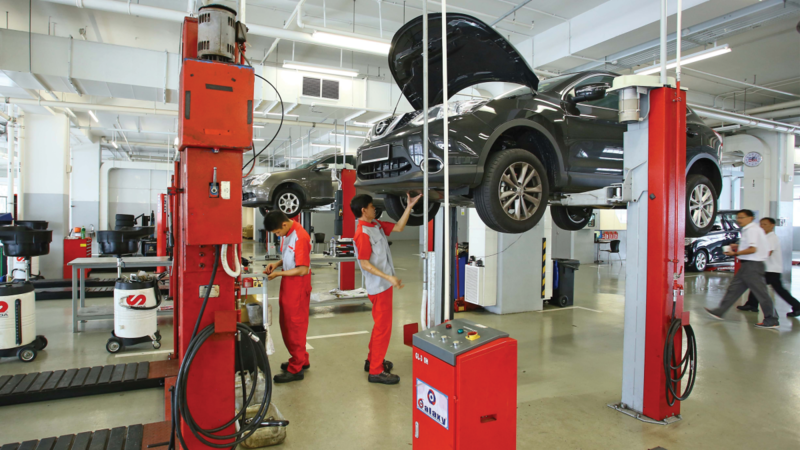 Regular oil change ensures smoother gear shift, anti-wear protection & resists oxidation. Sufficient clean air needed to achieve complete combustion for max power & fuel economy. Quality sparking improves engine combustion, power, fuel economy & performance. Proper wheel alignment ensures high speed cornering stability, steering wheel centering & prevent side drifting of vehicle. Protects cooling system against temperature extremes, ravages of rust & corrosion. Periodical inspection of brake pads, shoes & rotor disc ensure safety & high braking efficiency. Save on costly replacement of driveshaft with timely renewal of broken dust cover & prolong lifespan of universal joint & driveshaft. Ensure effective shock absorbing, road holding & riding comfort.